Church-going folks talk a lot about the love of Christ. But, really…What love is this? Is it like when we really “love” a book, movie, or a new pair of shoes? Or is it like how I (most of the time) love my family and close friends? Love that sacrifices. Ephesians 5:2 says that Christ loved us, and gave himself up for us as a fragrant offering and sacrifice for God. Love that heals. Matthew 9:35 speaks of Jesus traveling through all the cities and villages, healing every disease and every affliction. Love that beckons. John writes in the tenth chapter of his gospel about Jesus as the Shepherd who calls his sheep and leads them out. It is truly amazing–a miracle!–that the love of Christ dwells in us who believe, and nothing can separate us from that love. We have Christ’s capacity to sacrifice, to heal, to renew, and to beckon…just as Christ did. Left to ourselves, we are incapable of that kind of love. But, thanks be to God, he did not leave us to ourselves! Simply put, when we allow Christ to have his way in us, we sacrifice for one another. We truly see each other’s pain and heartache. We take the time and make the effort to pray regularly for one another, watching to see the healing come because we are agents of that healing. And a holy transformation takes place as we are renewed day by day, as we grow into the beautiful body of Christ. That beauty, that Christlikeness, that unbelievable love of Christ that shines through us as we are transformed into his likeness is a light that attracts like no other. It beckons people to come and taste and see that the Lord is good, and that his incomparable love can dwell in them, too. They, too, can be healed and transformed as they join a family whose love isn’t fickle or shallow. I encourage you to push the pause button on your day and engage in a little reflection. Where are you allowing the love of Christ to have its way in you? Love that sacrifices brings healing and renewal, and beckons others to do the same. He didn’t show up to serve on his scheduled Sunday. She signed up for the retreat, then cancelled at the last minute. Everyone thought hosting the event was a great idea, but no one showed up to help. I find this to be something of a paradox. It’s hard to be dedicated to a cause, activity, etc. that restricts one’s freedom. Yes…exactly. It’s hard. Keeping a commitment sometimes requires making a hard decision. The problem with commitment is that it requires showing up to do something when I would rather be home relaxing, going out with friends, spending time with family, or any one of a hundred other things. The problem with commitment is that it requires me to be responsible to those who are depending on me, and I don’t want that responsibility. The problem with commitment is that it often requires some sort of sacrifice–and I don’t like to give sacrificially. I can absolutely own any one of those statements on any given day! I don’t know a single person who is not tempted at some time or another to renege on a commitment. We can chalk it up to our innate desire to serve self. But here’s the problem with failure to keep our commitments: it undermines trust and tears away at the fabric of our families, our church, our communities, and our world. I don’t want to communicate judgment or unforgiveness. Of course there are times when something unforseen arises that necessitates breaking a commitment. Let’s be sure, however, that this is indeed the case and not a refusal to prioritize, to make the hard decision. I am a church member. Wouldn’t it be great if every single church member shared this perspective on membership? There would be no need for stewardship campaigns; there would be plenty of resources for ministry! Ministry would no longer belong only to the “paid holy people.” Instead of bemoaning the lack of volunteer ministers, church leaders would be scrambling to accommodate all those willing servants! There would be baptisms every Sunday as new believers professed their faith in Christ. Small groups would be regularly digging into the word of God–not just storehousing knowledge, but actually living it out as they went about their days blessing others. Yeah, wouldn’t that be great! A perfectly unified church… But how? Christ (He) personally gave this role. It was important to Him, so it has to be important to us. The role of pastors is not so much to do ministry, as it is to train or equip others to do ministry. If pastors fulfill this role, the body of Christ is built up. As the body of Christ is built up, the believers become unified in the faith. Almost all pastors we surveyed affirmed their critical role in training others to do ministry. But almost three fourths of these pastors had no plans to do so. For most pastors, the reasons behind this gap were simple: they either didn’t know how to take the next steps, or they didn’t feel like they had the time to do so. 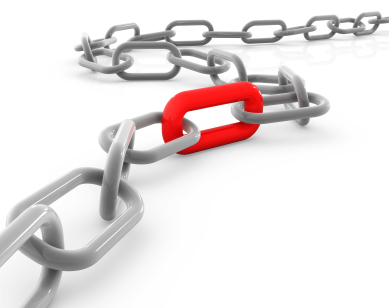 Are we, as pastors/teachers, the missing link? Have we developed a plan for equipping our people, raising them up to be fully devoted followers of Christ? Are executing that plan? Do you need to develop one, write down what you are going to do and how you are going to do it…step by step? I’m not sure there’s anything more deserving of our time than equipping our people for ministry. Perhaps the first step–one we may have overlooked–is teaching our people what it means to be a church member. First things first: Salvation does not a disciple make. Twenty plus years ago I professed Christ as my Savior. I had no idea what that meant or what I was supposed to do next. Mine was one of those crazy, emotional conversions–the kind some people scoff at, including my pastor at the time. Our church was hosting a faith renewal weekend. I wasn’t interested, but attended the Friday evening session simply out of a desperate need to get out of the house and away from my family. I was not impressed, and planned to skip church on Sunday. God apparently had other plans. On Sunday, my husband practically bounded out of bed, uncharacteristically enthusiastic about attending church. He was clueless about the renewal activities; had he known, I’m confident he would have been far less excited. However, I didn’t want to discourage this new exuberance for church, so I dutifully got myself and the kids ready and off we went. This particular Sunday was orchestrated by God so that I would accept Christ. I’m not being arrogant–I was the only person who responded to the invitation at the first service! When I went forward, tears streaming down my face like something out of Brother Love’s Traveling Salvation Show, my pastor whispered in my ear, “Thanks for rescuing me; it was embarrassing when no one came forward!” In his mind, my acceptance of Christ as Savior was not legitimate because it was rooted in emotion rather than intellect. I was blessed. After several months of trying to figure out what that moment of surrender truly meant, my husband and I joined a small group in our church where we met Ron and Donna. They spent the next few years discipling us through Bible study, deep conversations, shared meals, and ministry partnership, thus ensuring that our minds were being transformed along with our hearts. They invested in us, in spite of the crises they experienced during those years–crises of health, employment, and teenagers. Whatever was going on in their lives, they were always willing to share themselves and their Godly wisdom with us. It was a life-on-life discipling, one that taught us how to follow Christ in our everyday walking around life. I have to be honest and say that I’ve not followed their example as well as I could or should. I’ve made excuses for why I can’t invest in others the way Ron and Donna invested in me. But they are excuses, not reasons. If I want to see my faith community grow spiritually, I need to be available to disciple those who are willing and eager to learn. If I expect fewer pew-sitters and more disciples, I need to invest in those people God brings my way who are hungry for more of him. If I want to transform the culture of the church, I must begin with the people. Done with fixing the church. I pray that these two sentences will forever change my ministry. They are from the pen of Eugene H. Peterson, found on the next to last page of his book Practice Resurrection: a Conversation on Growing Up in Christ. But after reading those two sentences from Peterson’s book, I am struck by the realization that I may well have fallen into the trap of a romanticized ideal…meaning my concept of what is perfect, but not likely to become a reality this side of the Second Coming of Christ. And in so doing, I’ve been tempted into seeing the church as a problem that needs fixing and myself as one whom God has ordained to fix it. In the previous chapter, Peterson has much to say about relationship to and within the church. I commend it to your reading, but for the purposes of this blog, suffice it to say that it’s all about relationship–relationships of trust and adoration with God, relationships of righteousness and love with one another (p. 238). The kind of relationship that is not abstract, that does not objectify others. The kind of relationship that understands that my maturation in Christ is inextricably linked to the maturation of those with whom I am in community. I can’t reach maturity on my own, and neither can anyone else in the church. God has graciously given us the gift of each other, that we might share this journey to maturity in Christ. I am to share the gifts I am given in order that we grow together, rather than using those gifts with the intention of fixing, of creating my romanticized ideal of the church. Ephesians 4 paints the picture, and it is truly the Spirit-inspired vision. We live in a culture that prizes competition. Heaven knows, we’ve been exposed to some pretty heavy–and ugly–competition over the past several months leading up to yesterday’s election. More than once I’ve listened to an ad or a debate and wondered exactly what would happen if the candidates worked together, pooling their resources and cooperating with each other rather than competing. Competition is as old as mankind. We see it in the story of Cain and Abel, in Lucifer’s desire to have equal status with God, between the disciples as they jockeyed for a favored position in the Kingdom of God. Yes, competition is as old as sin itself. When applied in moderation, competition can hone, sharpen us. But competition unleashed is the antithesis of cooperation, and a strong deterrent to interdependence. One doesn’t have to look any farther than 1 Corinthians 12 to understand that the body of Christ must be interdependent in order to function the way God intended. Where do we see competition in the church today? I’m not talking about competition between denominations (though there is certainly that! ), but about competition that goes on within individual churches…places that are supposed to be known for loving fellowship. It’s not at all unusual for me to encounter someone who covets the spiritual gift or ministry that someone else has. Sometimes it’s a matter of helping them discern their own unique design and finding a good ministry match. Sometimes it just boils down to a desire for attention and recognition, so making a point of celebrating all ministry equally can help avoid that particular symptom of competition. Competition between staff and volunteers. Leaders who fight to keep their favored ministry continually in the limelight in order to garner resources–people, time, and funding–at the expense of other ministries do so much damage to the church body. Not only does ministry become very lopsided, but the perception is given that one ministry is more important, more valuable, more desirable in God’s eyes than any other. In reality, all are equally necessary–everything from cleaning the church’s bathrooms and washing windows, to serving a hot meal to the poorest in the community. No matter how you look at it, competition within the church is divisive. It robs the body of Christ of the interdependence it needs to be the body of Christ, leaving the church crippled and ineffective in its ministry. But when we work cooperatively, serving together inside and outside the walls of the church, our ministry becomes fruitful and attractive–to God as well as to those who are watching us!